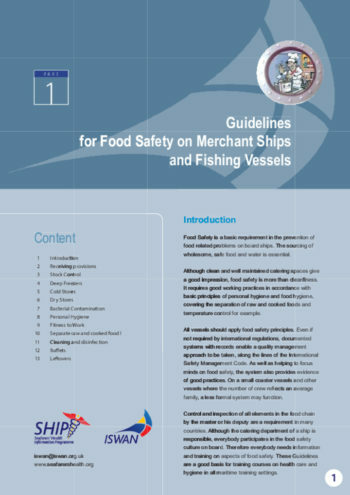 Food safety is a basic requirement in the prevention of food-related problems on board ships. 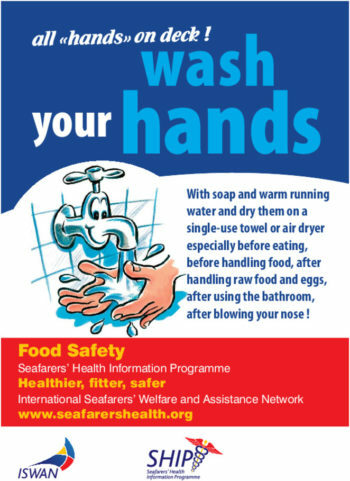 The sourcing of wholesome, safe food and water is essential. 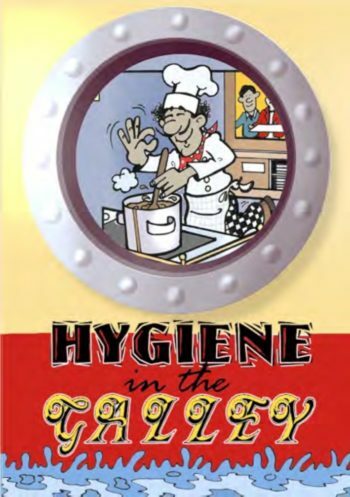 Although clean and well maintained catering spaces give a good impression, food safety is more than cleanliness. 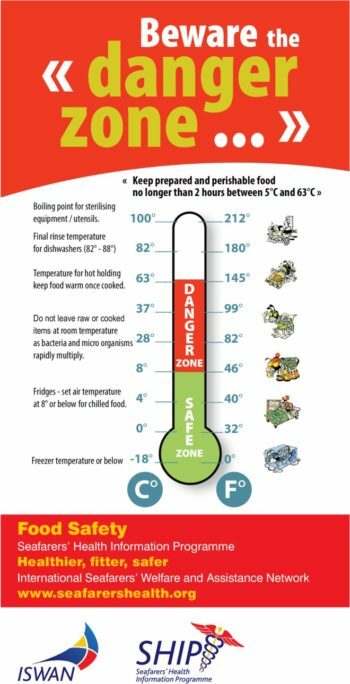 It requires good working practices in accordance with basic principles of personal hygiene and food hygiene, covering the separation of raw and cooked foods and temperature control, for example. 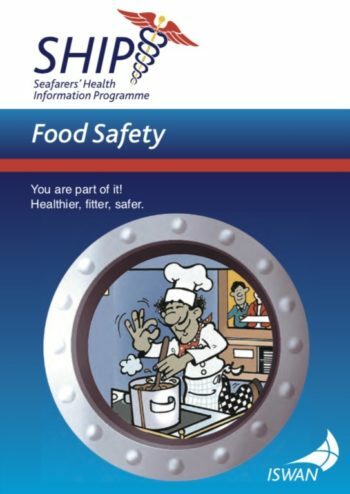 Our resources include a guide for seafarers, guidelines for shipping companies and a range of posters and cartoons to promote the highest standards of food safety on board.